Students from our grade 8m and 9m classes were able to participant in interactive lessons about the state-sponsored famine in the USSR in the 1930's. We learned how media was used to suppress information about the famine getting out to the west as the Second World War aligned Soviet and Western interests. In advance of our first ever, Mini Shoreline Clean Up event, please complete THIS WAIVER for your child and have them submit to their Mini English teacher by May 9, 2019. This form is also available in the parent view "Information for Parents". We have postponed the Duke of Edinburgh information meeting to Tuesday, April 23 at lunch in 454. Dr. Wadood Hamad drops SCIENCE at L&L! 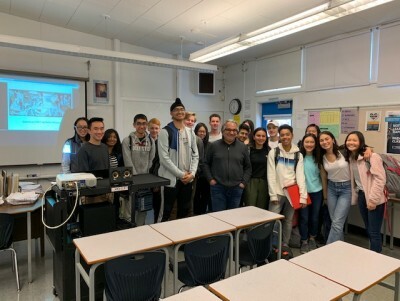 On April 9, Minis from across the grades dropped by 454 for a Lunch and Learn session with Dr. Wadood Hamad, UBC physicist and Science Manager at FP Innovations. He reminded us of Einstein's quote, "all of science is nothing more than the refinement of everyday thinking". He encouraged us to apply the scientific method to our decision-making and to think critically about the world around us. Join us for our next Lunch and Learn on May 1 with Wee-Shian Chan, a general internist and Head of Medicine at BC Women's Hospital. Recently, our very own David Mickelson submitted a spoken word poem recitation to Canada's Poetry in Voice national competition. Poetry in Voice is a national resource for honing and publishing your written and spoke word. They offer lots of opportunities for competions as well. David would like to thank Mme. Dobie for encouraging and mentoring him through the submission process. 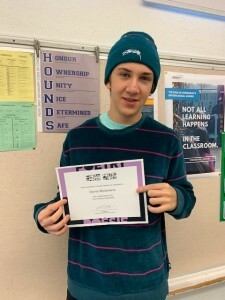 Jack is the latest Mini to earn an award in the Duke of Edinburgh program. 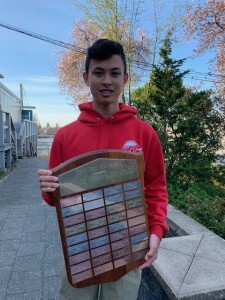 Currently, Point Grey Mini has over seventy students enrolled in the Award which is a non-competitive, internationally recognized program designed to encourage young people to develop positive skills and lifestyle habits. The Award is about personal challenge and development and is adaptable according to each participant's interests and abilities. If you are fourteen years old or older, and interested in joining your fellow Minis in pursuit of the Awards, come see Mr. Hamilton to get started! Point Grey Mini School is designed to provide motivated students with an enriched and challenging course of studies in a small and cohesive setting. We aim to create a learning environment which promotes the development of critical and creative thinking skills and independence in learning. Each year, there are about 140 students from Grades 8 to 12 with 28 students in each grade. Throughout their five years in the Mini, students are provided with the opportunity to leave the traditional classroom setting and take part in a variety of field trips, including several extended field trips. Students will also work on independent projects, group projects, and cross-grade activities. 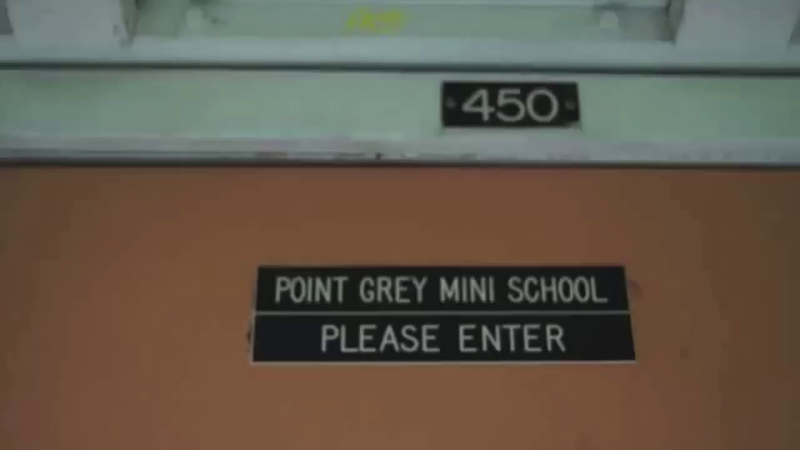 Point Grey Mini encourages active student and parent involvement. Student involvement and service within the Mini helps develop the sense of inter-grade and intra-grade community critical to the program. Each year, the Mini Leadership 12 class works to provide students with fun and engaging events throughout the course of the year and helps new Grade 8 students transition from elementary to secondary school. Parent involvement is also fundamental to the Mini. Parents assist in many events such as the annual Mini Prom, fundraising, and the organizing of monthly Mini Parent Advisory Committees. Parents are also granted the opportunity to chaperone students on the major field trips they take part in throughout the year. Accompanying parents are fully accommodated for. Students in the Mini have full access to all facilities, clubs, and sports teams of Point Grey Secondary School and have the opportunity to run for positions in the Point Grey Student Council along with the Mini Student Council. Fine Arts and Applied Skills courses are taken in the main school. Once accepted into the program, students are expected to be committed to the full five years of enrolment in the Mini. If you are Faculty, Student, Parent or Alumni of the PG Mini and don't have a login, please contact the Mini School for assistance.